Favorite Books: Twilight Saga (preferably Eclipse), Mysterious Benedict Society, Troy, Percy Jackson and the Olympians, and Harry Potter series. Favorite Songs: Anything by Owl City or Jimmy Eat World, both magnificent bands! Occupations in consideration: CHILDREN/ADOLESCENT PSYCHIATRIST, professional volleyball player, veterinary surgeon, AUTHOR, teacher, pilot. Fetishes: Anything Twilight- or Jasper-related, the beginnings of tape, the stickers you find inside your clothes (inspector numbers), writing, big words for overused words (usually winding up stumping people), U.S. History, English language. Views of the world: I'm a pacifist, I don't like the way women are still treated in America I am against any form of abuse on animals or humans, and I don't like the way adults think you're dumb just because you're a kid. 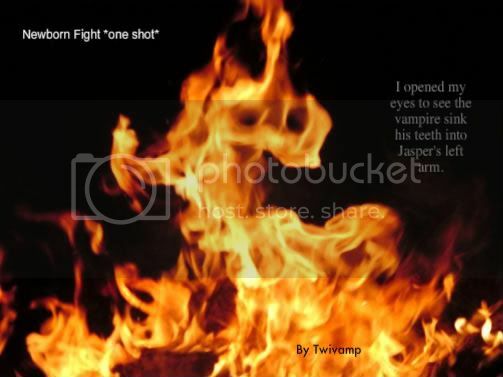 Fanfiction: I love writing for Alice and Jasper because they are absolutely my favorite characters, but I am also now experimenting with the other characters of the saga. I will probably write on the shorter side, story-length wise. Though I have two really long stories planned, everything else will probably be shorter. I love reading any type of story, as long as it's in character. 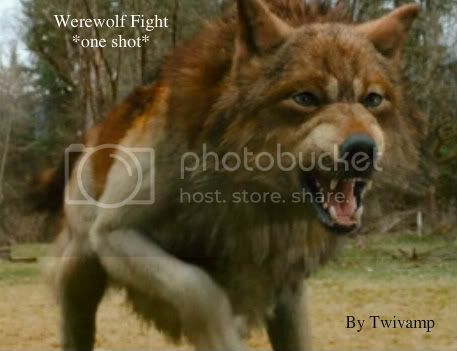 I can't stand OOC, sorry, but it's just different characters with the Twilight characters' names plastered onto them. I am now a contibutor of the series, Eternal Hope: The Alice and Jasper Archive. 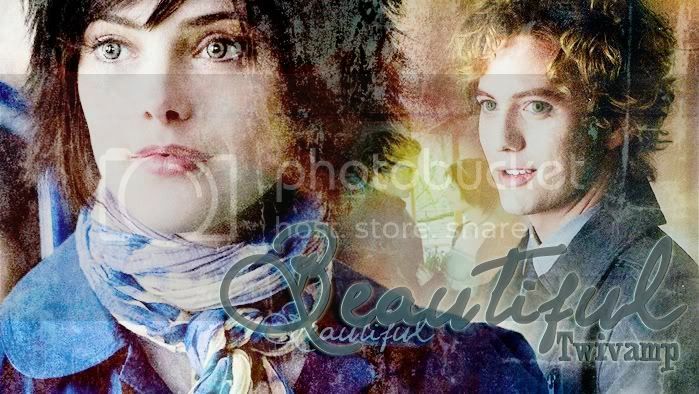 Check out all the stories there if you love Alice and Jasper like I do! Jasper gets jealous when Alice starts spending more time with Jacob in Breaking Dawn. Entry for the Plot Bunny Contest. Alice is upset with the way she looks and tries to change herself, but ends up finding out what true beauty is. Full of angst. 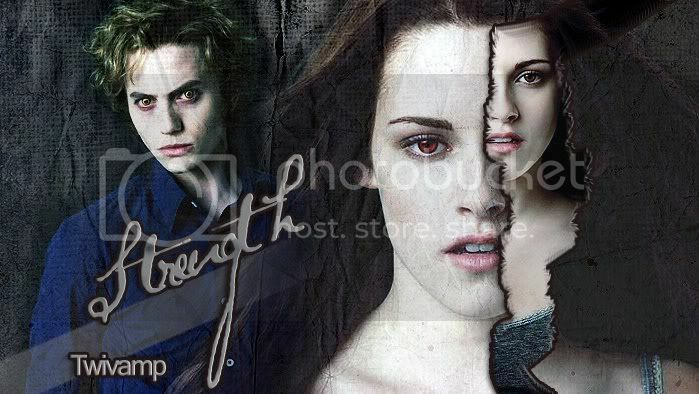 There have been many stories about Alice and Jasper's journey to the Cullens from 1948 to 1950, but not one quite like this one. 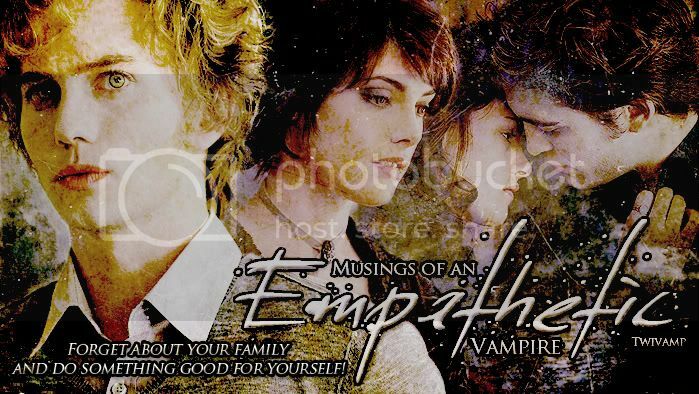 This is Jasper's dark journey about learning to trust and love and that war is not how vampires have to live life. 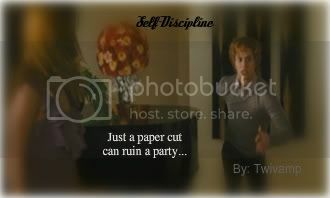 Told in both Alice and Jasper's POV's. Kept as cannon as possible. Banner made by the AMAZING FrozenSoldier. Bella is enjoying a wonderful cloudy day at the beach with her vampire boyfriend Edward when she gets stung by a jellyfish. Jasper helps tend to Bella's sting and Bella learns new things about Jasper she never knew. Esme's thoughts before she jumps off the cliff after her baby's death. Warning: Suicide Attempt. One Shot. "I can't understand," I said. "I can't bear this." I strode out the back door, walking away from my curious and worried family, hearing them ask what was up with me. Jasper's POV during Breaking Dawn when Bella first opens her eyes as a vampire. Two-shot, reviewer request. What happened with the Wolves' fight with the newborn vampires? "Is Jasper all right?" I whispered. "He's fine. The venom stings." "He was bitten?" I asked, horrified. "He was trying to be everywhere at once. Trying to make sure that Alice had nothing to do actually." Edward shook his head. "Alice doesn't need any help." Alice grimaced toward her true love. "Overprotective fool."